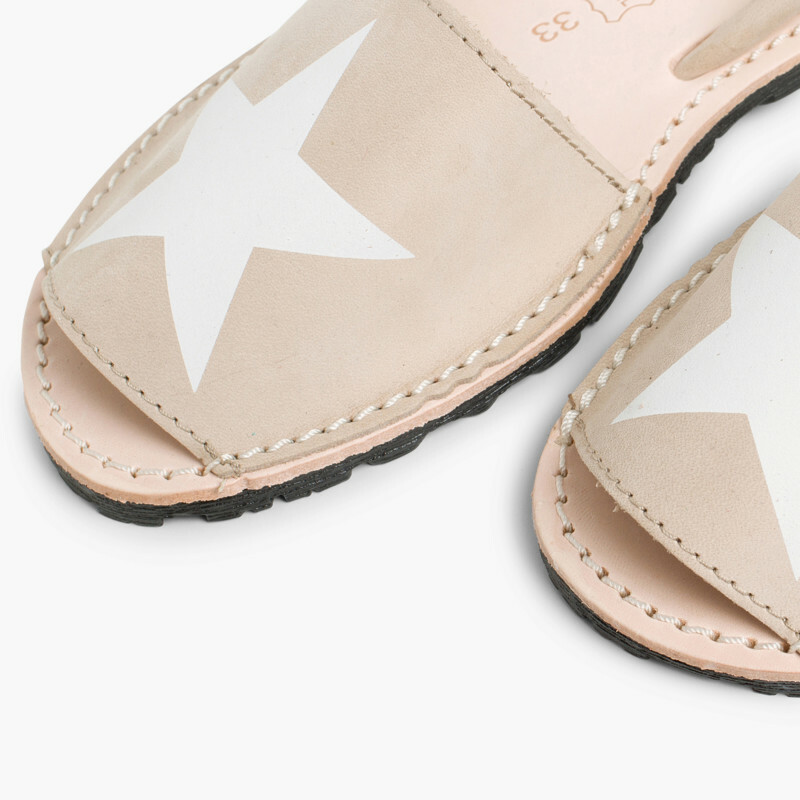 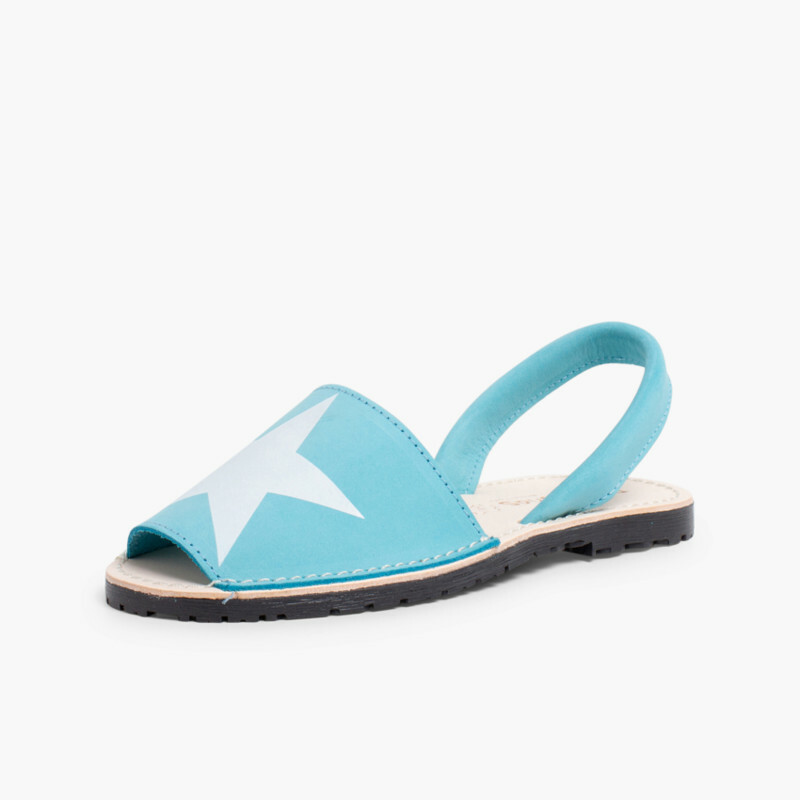 Menorcan sandals are the best shoes for summer. 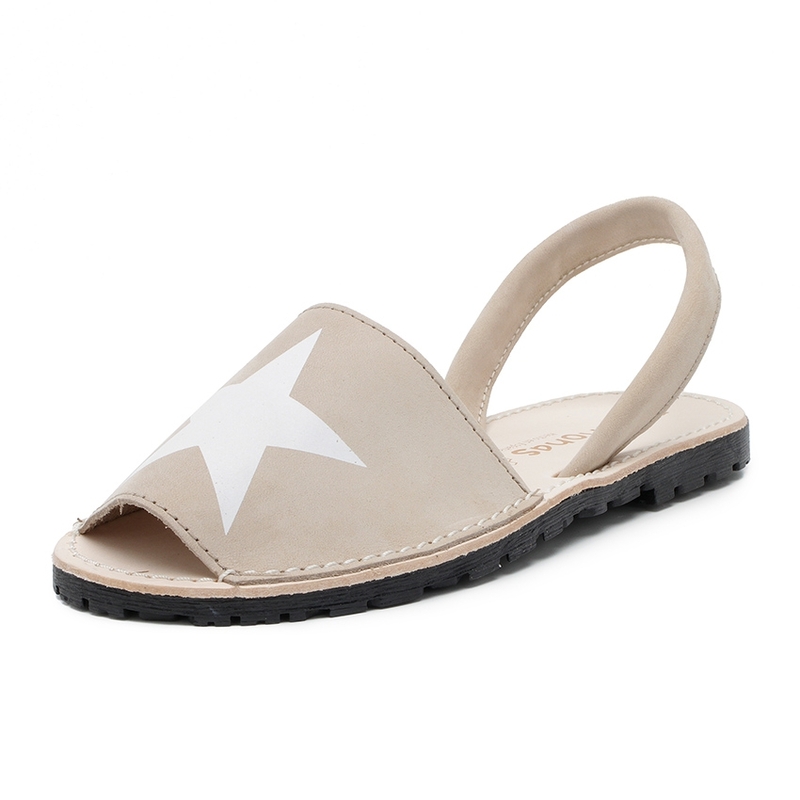 Comfortable, cool and timeless, they’re made of top-quality leather and are extremely durable and flexible. 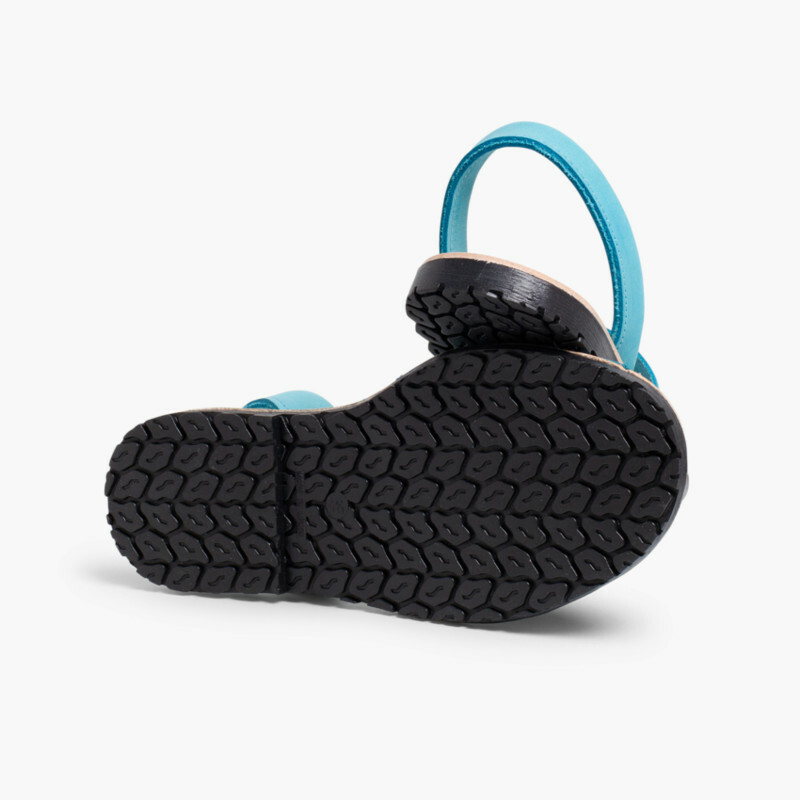 Perfect for standing up to all the running and jumping that the most restless feet do, at the same time as being comfortable and protective! Our children’s sandals are light and really easy to take on and off, which makes them great for the littlest people to learn to do it themselves. 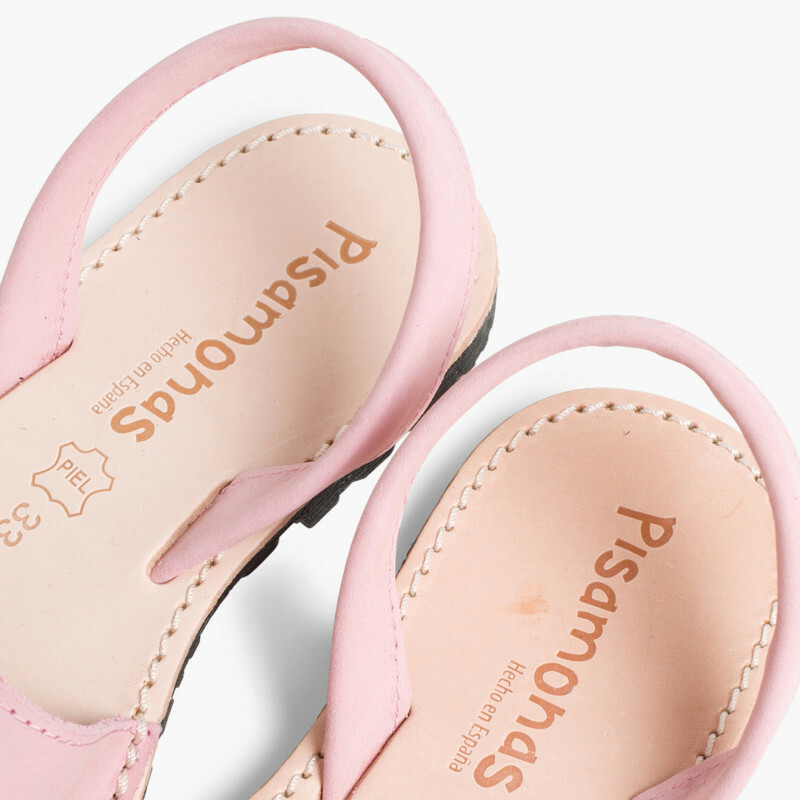 What’s more, at Pisamonas we have them available with the traditional straps at the back, or with double straps and a Velcro fastening for more grip. 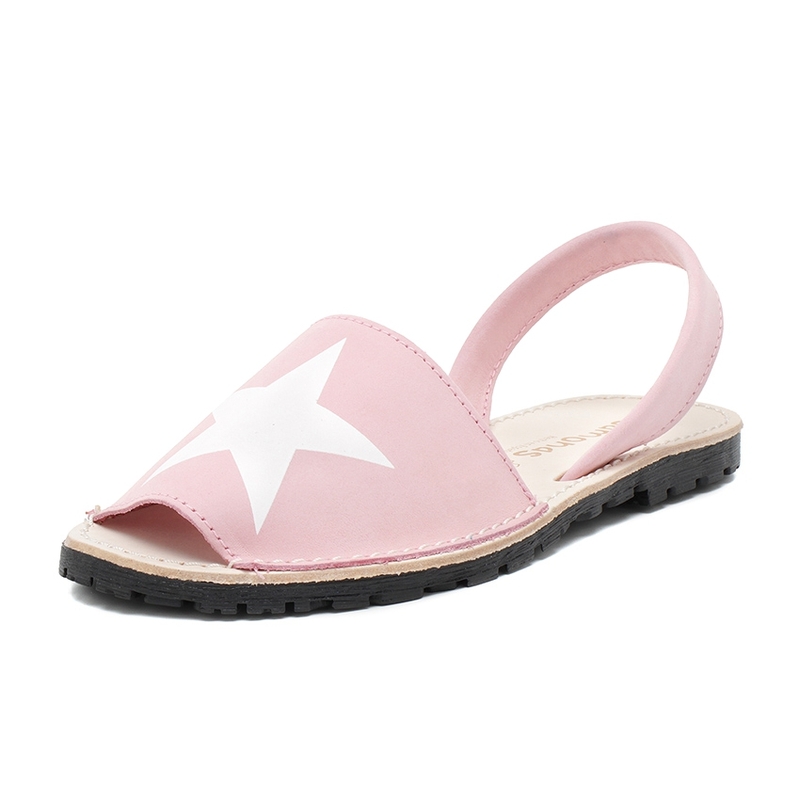 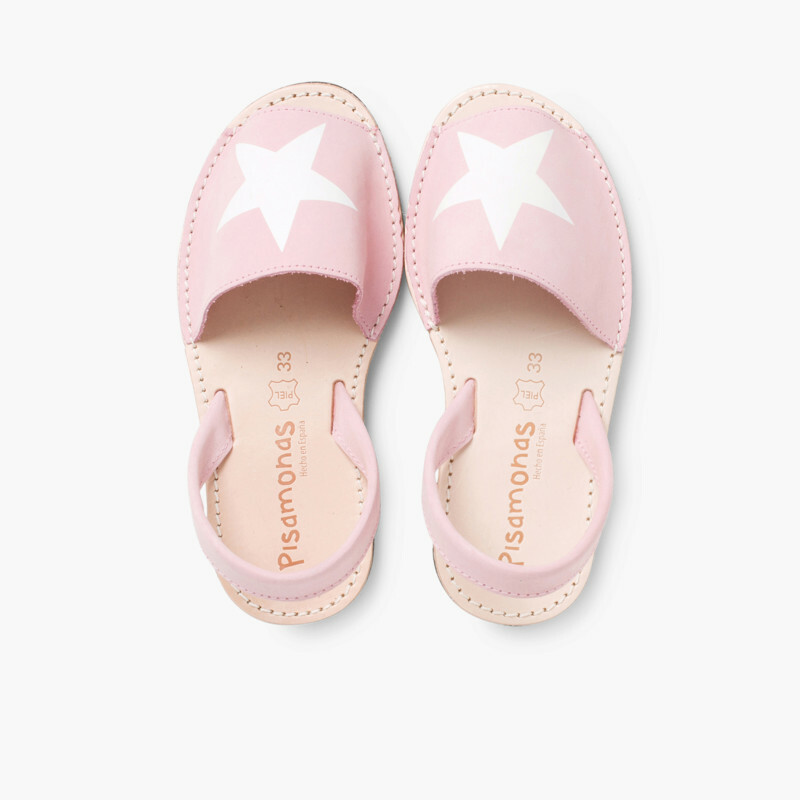 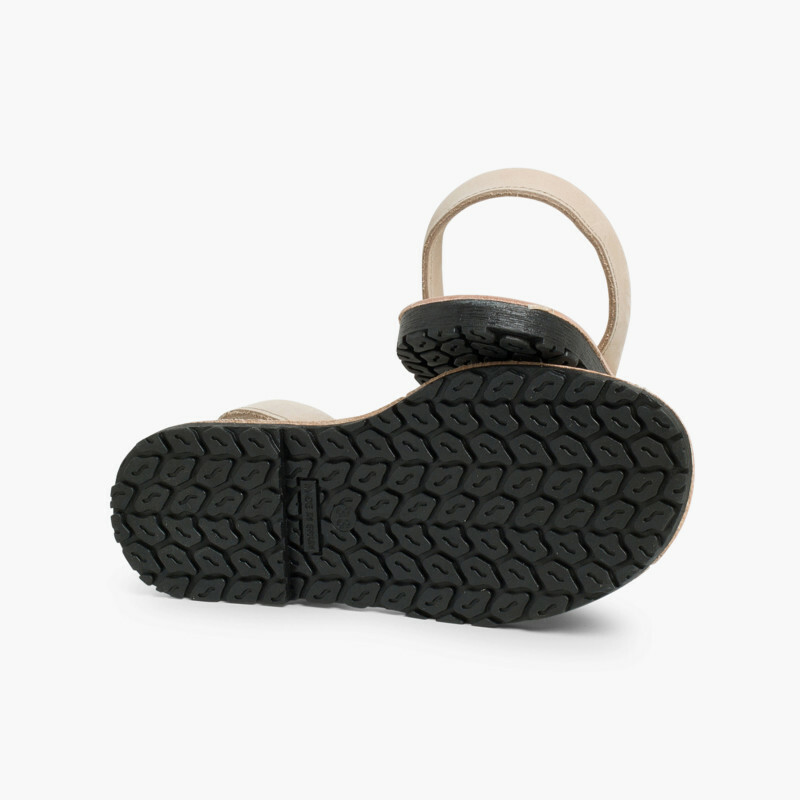 Another of the features of these children’s Menorcan sandals is the anti-slip rubber soles to help you avoid any slips. 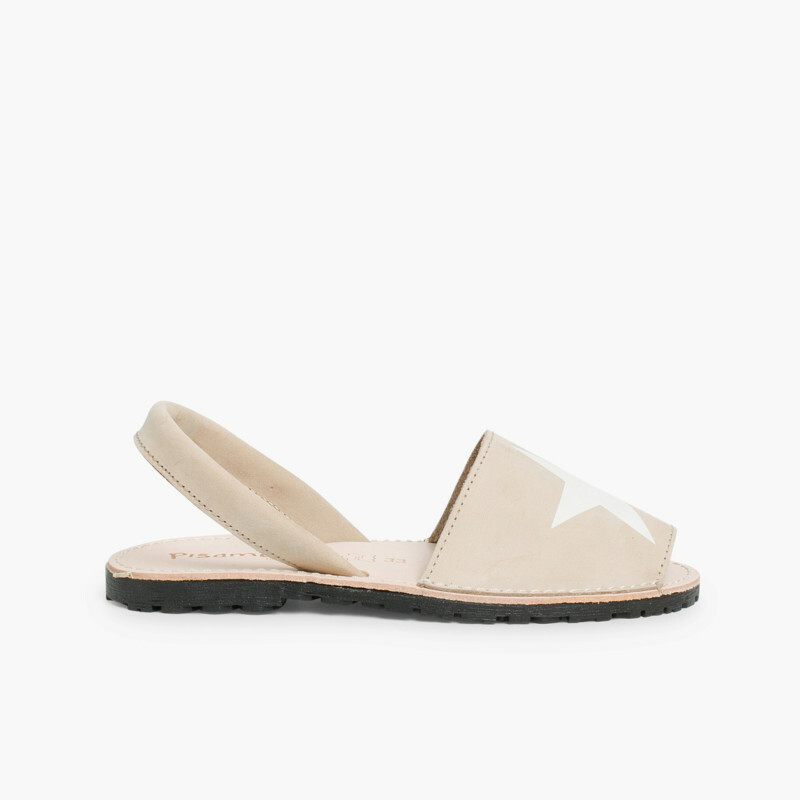 They’re also breathable, which means your foot stays cool all day. 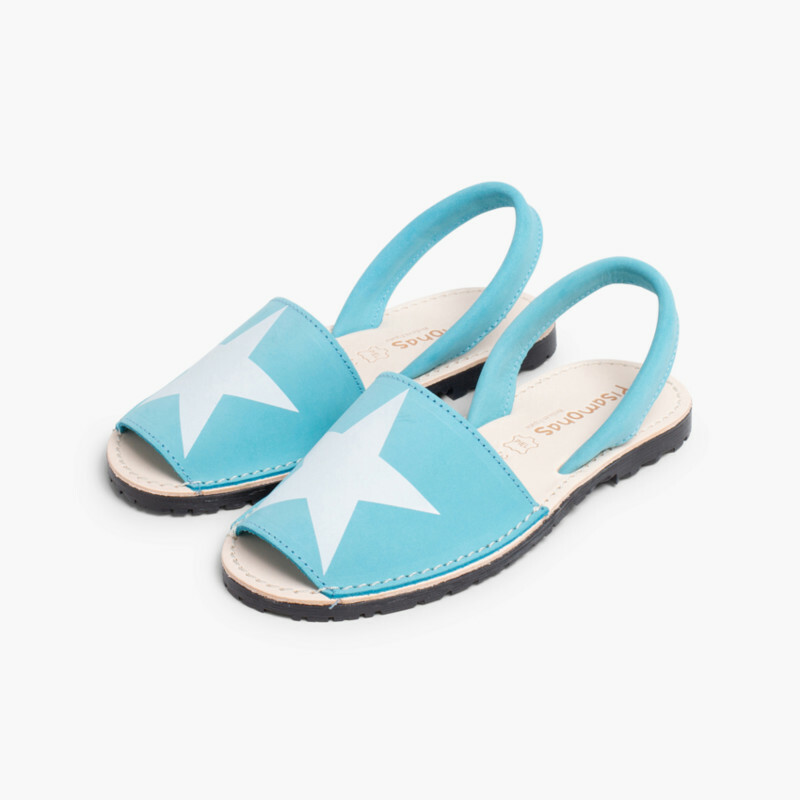 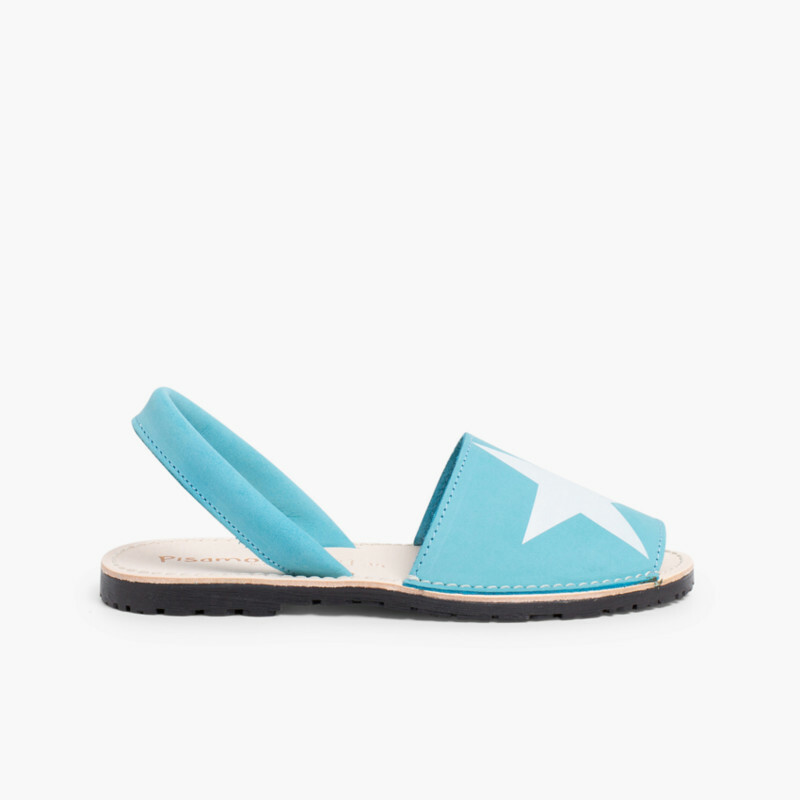 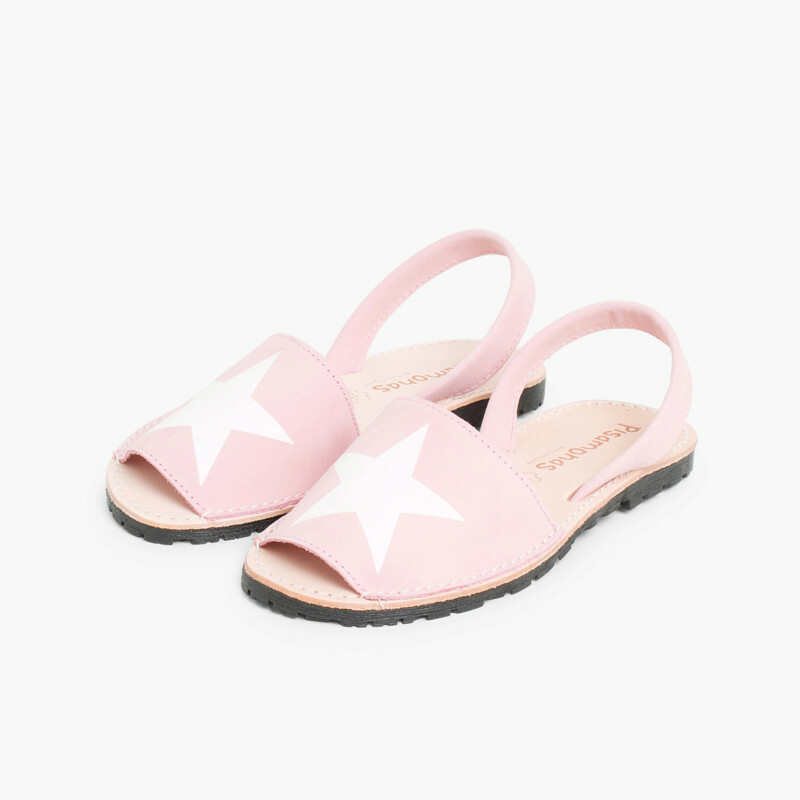 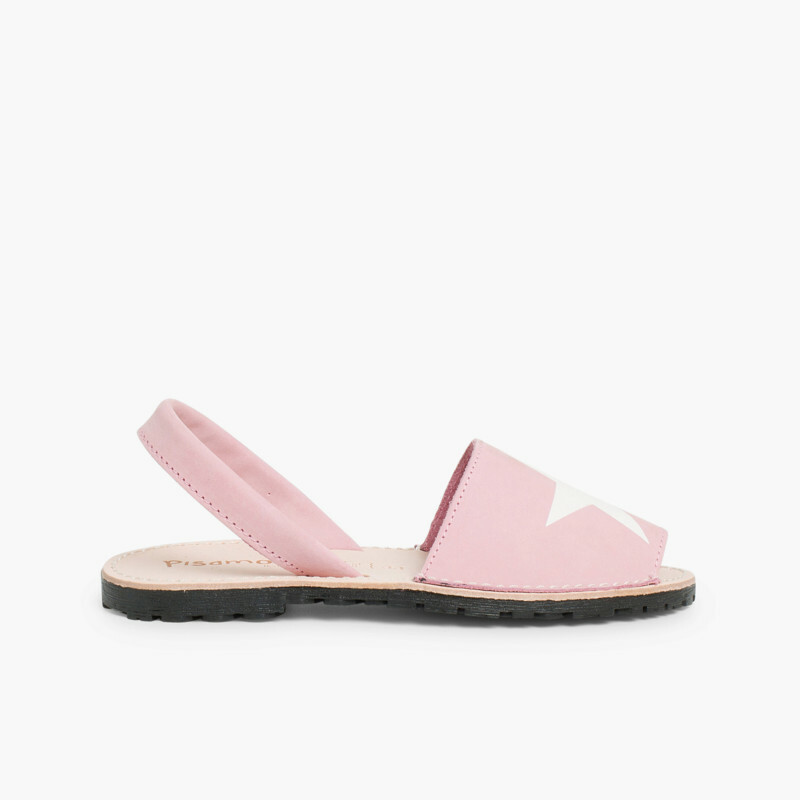 What’s more, the versatility of these Ibizan sandals means you can reinvent this model season after season as, as always, at Pisamonas we believe in staples that will never go out of fashion, although we also adapt them to current trends. 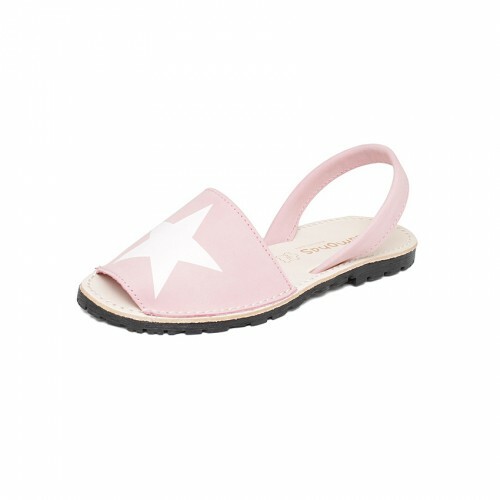 That’s why in our catalogue you’ll be able to find all kinds of Menorcan sandals: traditional leather ones in neutral or two tone, glitter designs in four irresistible colours, Special Edition mirror leather sandals, or this new model with a fun star design available in pink, turquoise and beige and from sizes 33 to 39. 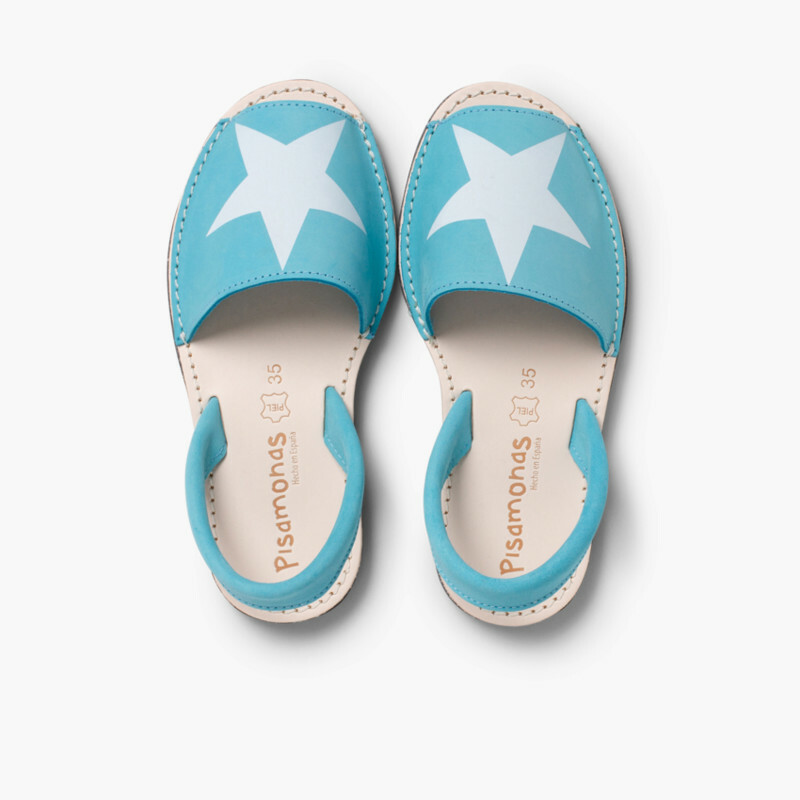 For all those children, and mums too, who want to be comfortable in Menorcan sandals but want a slightly more original design!